Fil-American MMA superstar is set to defend his title for the first time in ONE Championship. 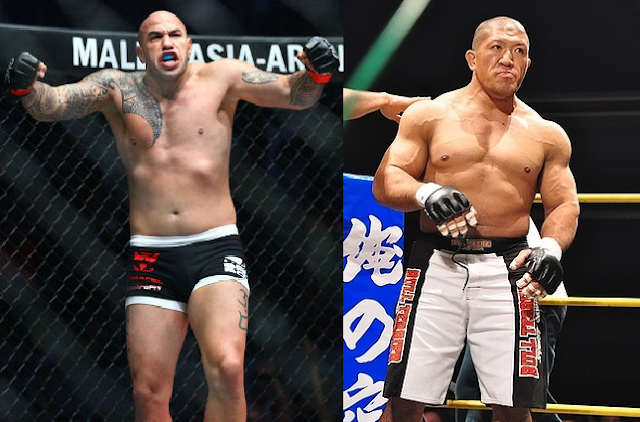 ONE Heavyweight Champion Brandon Vera will face Hideki Sekine of Japan on December 2, 2016 at Mall of Asia Arena, Pasay City Philippines. Vera with the record of 14 wins with 7 defeats tries to continue his MMA career in Asia. He fought best fighters in the best MMA organizations in the world and become a UFC contender in his prime. Vera now living in his mother homeland Philippines wants to help the Filipino hopeful MMA fighter and to promote the MMA in the country aswell. He wants also to bring his Alliance MMA in the Philippines. The 38 years old MMA fighter won his last 2 fights in One Championship. On the other hand, Hideko Sekine is an undefeated MMA fighter with the record of 7 wins with no losses and won his 6 of 7 fights by way stoppages almost in the first round.. The Japanese also has a great background in BJJ and once bacame a BJJ champion in Purple belt +100kg in Abu Dhabi. Aside from that, Mark Striegl, Eugene Toquero, Edward Kelly, April Osenio and Geje Eustaquio has also slated in this event.